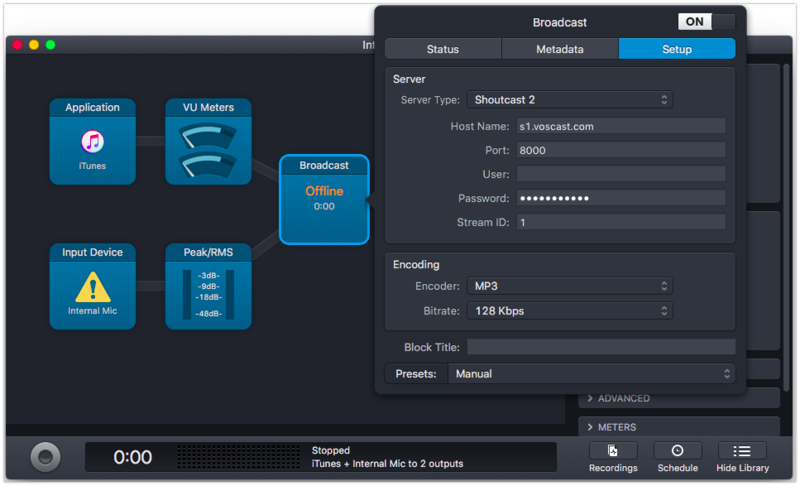 Audio Hijack is advanced software used for broadcasting and recording audio. It has many features that are covered in detail in their own guide. Our guide will focus on connecting Audio Hijack to your VosCast server. For more detailed information on all of the features of Audio Hijack, I recommend reading their manual inside of Audio Hijack, which is accessible through the menu bar by going to Help > Audio Hijack Manual. 1. Download and Install Audio Hijack. 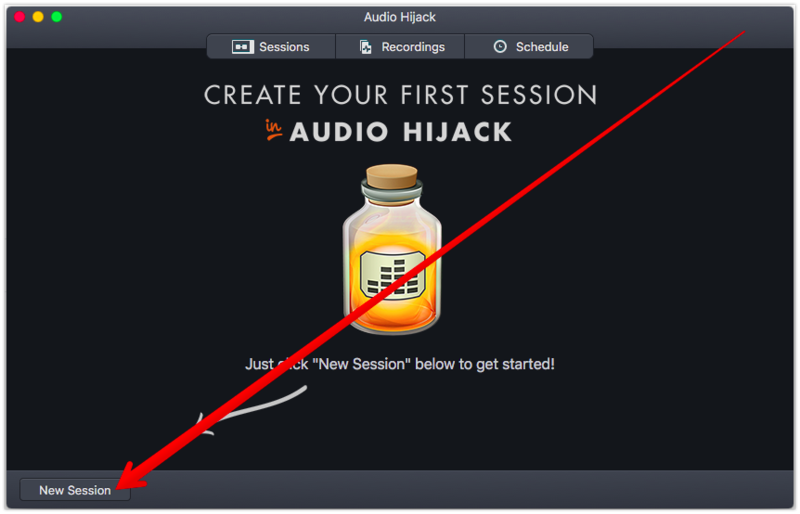 You can do this by clicking the “New Session” button in the bottom-left corner of the Audio Hijack window. 3. 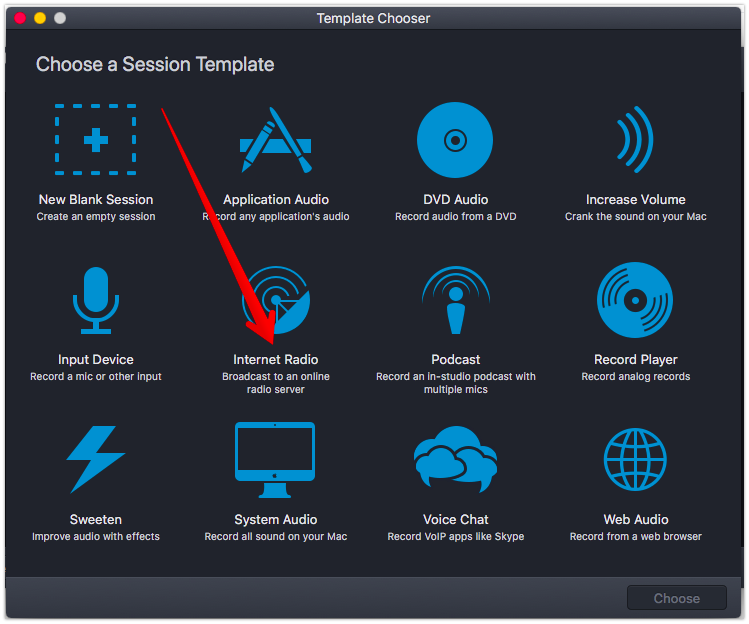 Choose the “Internet Radio” session template. 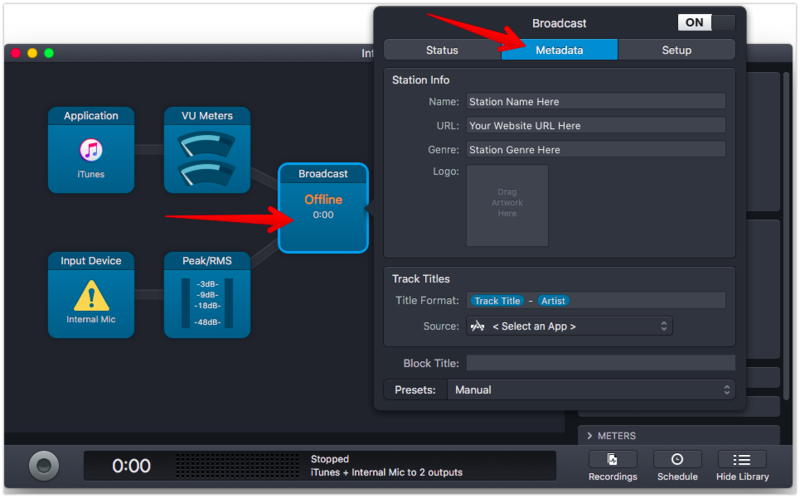 a. Click “Broadcast”, then go to “Metadata” and input your station details. b. Leave the “User” field empty. c. Enter the server details found in the VosCast client area, on the “Account Overview” page. d. Set the “Station ID” as “1”. e. Change the bitrate to the maximum bitrate of the VosCast plan you selected. You can find this in the client area as well, if you cannot remember the bitrate of your plan. 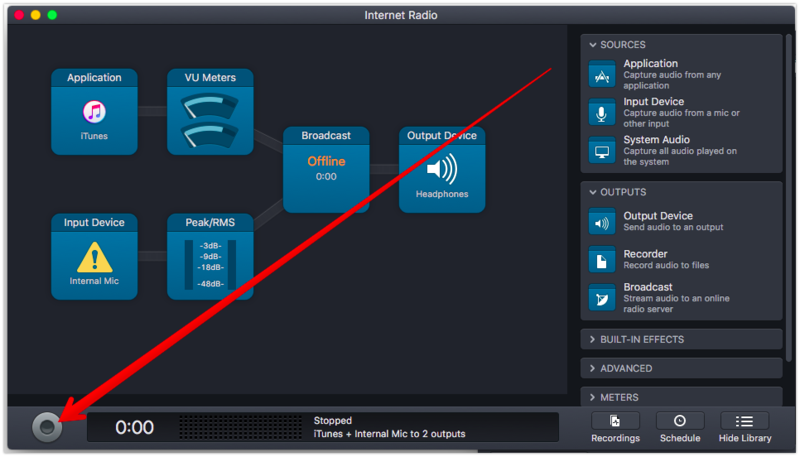 To begin broadcasting, simply click the "Record" button in the bottom-left corner of the Audio Hijack window.